BOSTON—Four members of the Harvard Business School MBA Class of 2014 and two graduating doctoral candidates have been named winners of the School’s prestigious Dean’s Award. They will all be recognized by HBS Dean Nitin Nohria at Commencement ceremonies on the HBS campus. The MBA winners are Greg Adams, Tara Hagan, Ana Mendy, and Cory Rothschild. Matthew Lee and Everett Spain will each receive the HBS Doctoral Programs Dean’s Award. A Green Beret commander in Afghanistan, Greg Adams helped created a support and communications network for veterans at HBS and the entire University. From the Harbus to the Women’s Student Association, Tara Hagan worked tirelessly on many fronts to improve and enrich the HBS experience. Ana Mendy’s efforts on behalf of the Leadership & Values Committee and the LGBT Student Association helped make HBS a truly inclusive community. A Student Association stalwart, Cory Rothschild helped develop events that brought the entire student body together and co-created a program that got the school year off to a great start. A leader in the School’s Doctoral Programs, Matthew Lee advised other DBA candidates, added a new twist to Thanksgiving, and also had an entrepreneurial impact on undergraduates “across the river.” A colonel in the U.S. Army who played a key role in veterans’ activities throughout the University, without regard for his own safety, Everett Spain saved lives when tragedy struck at last year’s Boston Marathon. In the eyes of her classmates, Tara Hagan is “a giving all-star who has contributed to creating a positive community at HBS.” Her impact on campus has been described as “obvious and tangible.” She was the driving force behind the Women’s Student Association’s “Manbassadors” program, helped lead the HBS Show in her first year as director and second year as co-president and supported the LGBT community by taking the helm of the School’s Allies club, a group of straight supporters comprising HBS students and partners who work toward creating a supportive environment on campus. Tara has been recognized for contributing to the Harbus (the HBS student newspaper), working with the HBS admissions staff to revamp marketing videos and reach out to prospective and admitted students, executing various portrait projects, and tutoring sectionmates in preparation for the first-year required course in Financial Reporting and Control. As one nominator commented, “I haven’t met any other person at the School who dedicates more energy to the community, the students, and campus life writ large than Tara. She does so many things and never asks for credit.” She has been described as a person who leads by example, letting others shine while pushing them to work hard and do their best. Tara won praise from her classmates and others at HBS for her work to engage more men in the gender discussion on campus by guiding the Manbassadors program, whose mission is “to actively engage male students and partners at HBS in a productive, ongoing conversation about gender issues and to involve male students in the Women’s Student Association.” Within the first month of the program’s launch, two hundred men signed up, and many credit the explosive growth of the program to Tara’s leadership capabilities and ability to bring people together. 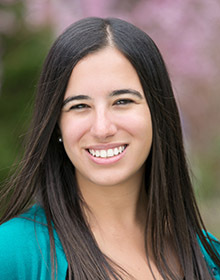 Ana has spent much of her extracurricular time at Harvard Business School promoting “mutual respect, honesty and integrity, and personal accountability”-- the backbone of HBS’s Community Values and the underlying mantra of the 20-member Leadership and Values Committee to which she was elected as a first-year student and that she co-chaired during her second year. 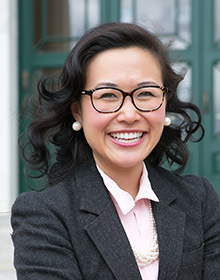 As an L&V rep, she introduced an innovative program called “Evolve,” a feedback, reflection, and accountability group for interested members of the section. According to a sectionmate who participated, it was “an impactful and innovative series of sessions.” This year, Ana created an Evolve handbook for all first-year L&V reps and expanded the series so that other sections could have similar groups, a testament to her commitment to enriching the lives of all her HBS classmates. Ana is also seen as a champion for the LGBT community. This year, the LGBTSA enjoyed its largest membership ever, and Ana was a catalyst in starting the first Harvard Graduate School LGBTQ conference, in partnership with the Law School and Kennedy School and with the help of the Divinity and Medical Schools. She then, along with co-chairs, put together a 20-person organizing team to make the conference a reality. As one faculty nominator commented, “It was, by all accounts, a smashing success, with more than 400 attendees from across and outside the University. The program and speakers were remarkable, deeply empowering for both HBS and the Harvard University community and exposing a new side of the Harvard schools to many people outside the University.” This conference will now be an annual event, with even more schools participating. Ana has also worked with HBS administrators to bring diversity issues to the fore and improve communication, particularly through inclusive cases and vignettes and by voicing students’ experiences. In the SA, Cory convinced the co-presidents to create multiple positions that focused on community in an effort to increase the shared HBS experience across sections. He and classmate Anne Fauvre ran a successful “MyTake” series, with students doing TED-style presentations on a wide variety of topics. And he focused on creating opportunities to bring all members of the HBS community together, including “Spangler Night Live”-- musical events in the Spangler Center lounge that presented student and professional musical acts. In addition, Cory is well known for his work, with classmates Mhoire Murphy and Julia Saxonov, in conceiving and executing an overhaul of the HBS Start program for incoming students. With the goal of making Start much more than just an introduction to section life and the case method, the trio aimed to deliver a more holistic and community-based “Intro to Life at HBS.” To accomplish that, they created a group of second-year students, called EC Ambassadors, to help teach the incoming first-years about campus life and provide a constant support system for their many questions and concerns during orientation. They also put together a jam-packed week of events, speakers, and sessions to introduce the new students to everything HBS has to offer. Over the past two-and-a-half years, this active-duty and decorated (including a Bronze Star and Purple Heart) U.S. Army officer (with the rank of colonel) dedicated himself to improving and deepening the relationship between the University and its military members. 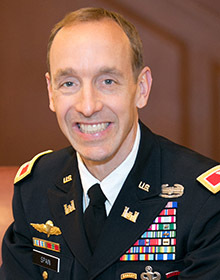 With the recent return of ROTC to the University and the increasing presence of veterans across all Harvard programs, Everett stepped up to lead in various ways --as a director of the Harvard Veterans Organization (HVO), for example, and as a speaker at Harvard military-related events. After researching Harvard’s military history, he also developed a walking tour of Harvard Yard’s military memorials and historic markers. Although he is reluctant to talk about it, of particular note are Everett’s actions in the aftermath of last year’s tragic Boston Marathon bombings. A Dean’s Award nominator recounts the story: Everett, along with his wife and two Harvard MBA students, had volunteered to serve as a running guide for a blind competitor in the race. When the bombs went off, they were approaching the finish line. Reacting immediately, Everett passed off his blind companion to another race volunteer so that he could be led to safety and then rushed toward the site of the blasts to help treat some of the injured. He administered first aid and using available materials, including his own clothes, created a pressure bandage and a tourniquet for two of the seriously wounded, ran through several buildings with blaring smoke alarms for trapped victims, and then escorted a third victim to a hospital in an ambulance. “I’m sure his actions helped save the lives of several victims,” wrote a nominator. Media captured the image of Everett, half undressed and covered in blood, but when asked for identification, he would not provide his name, rank, or any other affiliation. He simply said that he was an American soldier. For months after bombings, Everett continued to support and visit victims in the hospital, while shunning publicity. In recognition of his heroic and selfless behavior, however, he recently received the Soldier’s Medal, the U.S. Army’s highest honor awarded in peacetime, in a small ceremony on the HBS campus. 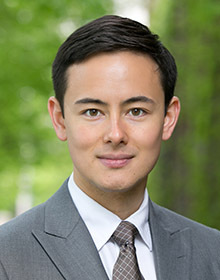 A graduating student in Harvard Business School’s Doctor of Business Administration program in management, Matthew Lee has been described by one of his faculty supporters as “an exceptional citizen of the School” who exemplifies the qualities of a Dean’s Award recipient through his actions as a leader and his positive impact on the HBS and Harvard communities. During his years in the School’s Doctoral Programs, Matthew frequently helped fellow students navigate the doctoral student experience, providing mentorship on issues such as their research and course selection. He also led several “grass-roots” community-building activities at HBS, including a Thanksgiving potluck dinner for students and their faculty advisors and staff to celebrate the holiday and give thanks. This event became a much anticipated and appreciated tradition within the HBS doctoral community, particularly among those who couldn’t make it home for the long weekend. 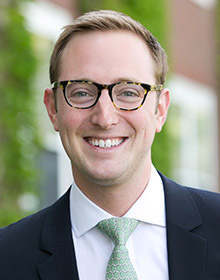 In addition, Matthew was a cofounder in 2012 of the Harvard Graduate School Leadership Initiative, a student-run organization that convenes graduate students from different Harvard schools for leadership education and intimate conversations with faculty members and outside leaders visiting the Harvard campus. Students have responded enthusiastically. The most recent edition of the Initiative received more than 400 applicants for 25 seats. 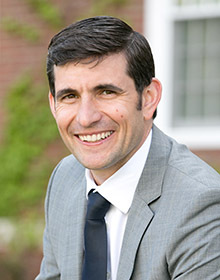 As a teaching fellow with Dr. David Ager (now a Senior Fellow at HBS) when he was a member of the University’s Sociology Department, Matthew helped develop and deliver a social entrepreneurship course at Harvard College. As a result of his contributions, former students from the class founded several organizations, including a project in the Republic of Georgia aimed at educating a new generation of entrepreneurial leaders. He continues to travel to Georgia to teach and serve on the organization’s advisory board in Georgia and Romania to educate new generations of entrepreneurial leaders in that region of the world. He continues to be actively involved in these efforts in an advisory role. During his studies, Matthew also organized and led spring and winter break trips to Central America through Habitat for Humanity, making it possible for five teams of 10 to 15 Harvard undergraduates each to construct homes in Guatemala, Honduras, and El Salvador. In keeping with Matthew’s quiet, yet high-impact style of leadership, these trips were undertaken with little fanfare.